Friesland ( [ˈfrislɑnt]; official, West Frisian: Fryslân [ˈfrislɔːn]) or Frisia is a province in the northwest of the Netherlands. 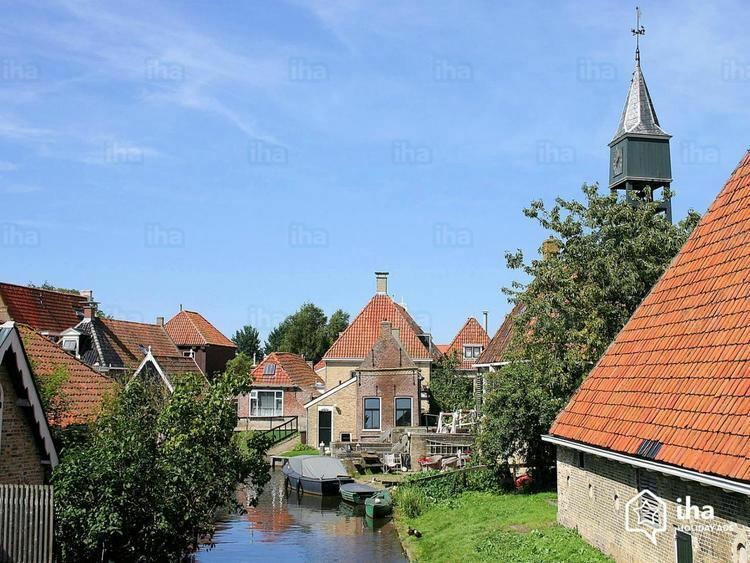 It is situated west of Groningen, northwest of Drenthe and Overijssel, north of Flevoland, northeast of North Holland, and south of the North Sea. In 2010, the province had a population of 646,000 and a total area of 5,100 km2 (2,000 sq mi). The capital and seat of the provincial government is the city of Leeuwarden (West Frisian: Ljouwert), a city with 91,817 inhabitants. Since 2017, Arno Brok is the King's Commissioner in the province. A coalition of the Labour Party, the Christian Democratic Appeal, and the Frisian National Party forms the executive branch. The province is divided into 24 municipalities. The area of the province was once part of the ancient, larger region of Frisia. The official languages of Friesland are West Frisian and Dutch. In 1996 the States of Friesland resolved that the official name of the province should follow the West Frisian spelling rather than the Dutch spelling, resulting in "Friesland" being replaced by "Fryslân". In 2004 the Dutch government confirmed this resolution, putting in place a three-year scheme to oversee the name change and associated cultural programme. The province of Friesland is occasionally referred to as "Frisia" by, amongst others, Hanno Brand, head of the history and literature department at the Fryske Akademy since 2009. 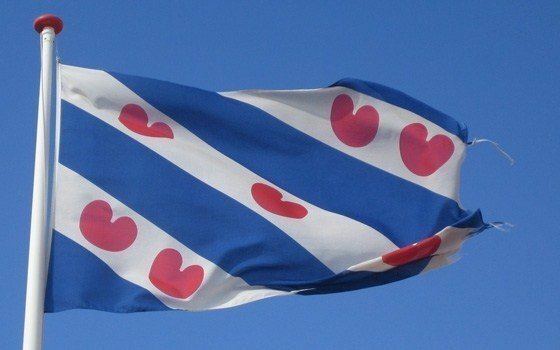 However, the English-language webpage of the Friesland Provincial Council refers to the province as "Fryslân". The Frisii were among the migrating Germanic tribes that, following the breakup of Celtic Europe in the 4th century BC, settled along the North Sea. They came to control the area from roughly present-day Bremen to Brugge, and conquered many of the smaller offshore islands. What little is known of the Frisii is provided by a few Roman accounts, most of them military. Pliny the Elder said their lands were forest-covered with tall trees growing up to the edge of the lakes. They lived by agriculture and raising cattle. In his Germania, Tacitus would describe all the Germanic peoples of the region as having elected kings with limited powers and influential military leaders who led by example rather than by authority. The people lived in spread-out settlements. He specifically noted the weakness of Germanic political hierarchies in reference to the Frisii, when he mentioned the names of two kings of the 1st century Frisii and added that they were kings "as far as the Germans are under kings". In the 1st century BC, the Frisii halted a Roman advance and thus managed to maintain their independence. Some or all of the Frisii may have joined into the Frankish and Saxon peoples in late Roman times, but they would retain a separate identity in Roman eyes until at least 296, when they were forcibly resettled as laeti (i.e., Roman-era serfs) and thereafter disappear from recorded history. Their tentative existence in the 4th century is confirmed by archaeological discovery of a type of earthenware unique to 4th-century Frisia, called terp Tritzum, showing that an unknown number of Frisii were resettled in Flanders and Kent, likely as laeti under the aforementioned Roman coercion. The lands of the Frisii were largely abandoned by c. 400 due to Migration wars, climatic deterioration and flooding caused by sea level rise. The area lay empty for one or two centuries, when changing environmental and political conditions made the region habitable again. At that time, during the Migration Period, "new" Frisians (probably descended from a merging of Angles, Saxons, Jutes and Frisii) repopulated the coastal regions. These Frisians consisted of tribes with loose bonds, centred on war bands but without great power. The earliest Frisian records name four social classes, the ethelings (nobiles in Latin documents) and frilings, who together made up the "Free Frisians" who might bring suit at court, and the laten or liten with the slaves, who were absorbed into the laten during the Early Middle Ages, as slavery was not so much formally abolished, as evaporated. The laten were tenants of lands they did not own and might be tied to it in the manner of serfs, but in later times might buy their freedom. Under the rule of the king Aldgisl, the Frisians came in conflict with the Frankish mayor of the palace Ebroin, over the old Roman border fortifications. Aldgisl could keep the Franks at a distance with his army. During the reign of Redbad, however, the tide turned in favour of the Franks; in 690, the Franks were victorious in the Battle of Dorestad. In 733, Charles Martel sent an army against the Frisians. The Frisian army was pushed back to Eastergoa. The next year the Battle of the Boarn took place. Charles ferried an army across the Almere with a fleet that enabled him to sail up to De Boarn. The Frisians were defeated in the ensuing battle, and their last king Poppo was killed. The victors began plundering and burning heathen sanctuaries. Charles Martel returned with much loot, and broke the power of the Frisian kings for good. The Franks annexed the Frisian lands between the Vlie and the Lauwers. They conquered the area east of the Lauwers in 785, when Charlemagne defeated Widukind. The Carolingians laid Frisia under the rule of grewan, a title that has been loosely related to count in its early sense of "governor" rather than "feudal overlord". About 100,000 Dutch were drowned to death by a flood in 1228. When, around 800, the Scandinavian Vikings first attacked Frisia, which was still under Carolingian rule, the Frisians were released from military service on foreign territory in order to be able to defend themselves against the heathen Vikings. With their victory in the Battle of Norditi in 884 they were able to drive the Vikings permanently out of East Frisia, although it remained under constant threat. Over the centuries, whilst feudal lords reigned in the rest of Europe, no aristocratic structures emerged in Frisia. This 'Frisian freedom' was represented abroad by redjeven who were elected from among the wealthier farmers or from elected representatives of the autonomous rural municipalities. Originally the redjeven were all judges, so-called Asega, who were appointed by the territorial lords. After significant territories were lost to Holland in the Friso-Hollandic Wars, Frisia saw an economic downturn in the mid-14th century. Accompanied by a decline in monasteries and other communal institutions, social discord led to the emergence of untitled nobles called haadlingen ("headmen"), wealthy landowners possessing large tracts of land and fortified homes who took over the role of the judiciary as well offering protection to their local inhabitants. Internal struggles between regional leaders resulted in bloody conflicts and the alignment of regions along two opposing parties: the Fetkeapers and Skieringers. On 21 March 1498, a small group of Skieringers from Westergo secretly met with Albert III, Duke of Saxony, the Governor of the Habsburg Netherlands, in Medemblik requesting his help. Albrecht, who had gained a reputation as a formidable military commander, accepted and soon conquered all Friesland. Emperor Maximilian of Habsburg appointed Albrecht hereditary potestate and gubernator of Friesland in 1499. In 1515, an army of peasant rebels and mercenaries known as the Arumer Zwarte Hoop started a peasants' revolt against the Habsburg authorities. The leader was the farmer Pier Gerlofs Donia, whose farm had been burned down and whose kinfolk had been killed by a marauding Landsknecht regiment. Since the regiment had been employed by the Habsburg authorities to suppress the civil war of the Fetkeapers and Skieringers, Donia put the blame on the authorities. After this he gathered angry peasants and some petty noblemen from Frisia and Gelderland and formed the Arumer Zwarte Hoop.The rebels received financial support from Charles II, Duke of Guelders, who claimed the Duchy of Guelders in opposition to the House of Habsburg. Charles also employed mercenaries under command of his military commander Maarten van Rossum in their support. However, when the tides turned against the rebels after the Donia's death in 1520, Charles withdrew his support, without which the rebels could no longer afford to pay their mercenary army. The revolt was put to an end in 1523 and Frisia was incorporated into the Habsburg Netherlands, bringing an end to the Frisian freedom. Charles V, the Holy Roman Emperor, became the first lord of the Lordship of Frisia. He appointed Georg Schenck van Toutenburg, who had crushed the peasants' revolt, as Stadtholder to rule over the province in his stead. When Charles abdicated in 1556, Frisia was inherited by Philip II of Spain along with the rest of the Netherlands. In 1566, Frisia joined the Dutch Revolt against Spanish rule. In 1577, George van Lalaing (Count Rennenburg) was appointed Stadtholder of Frisia and other provinces. A moderate, trusted by both sides, he tried to reconcile the rebels with the Crown. But in 1580, Rennenburg declared for Spain. The States of Frisia raised troops and took his strongholds of Leeuwarden, Harlingen and Stavoren. Rennenburg was deposed and Frisia became the fifth Lordship to join the rebels' Union of Utrecht. From 1580 onward, all stadtholders were members of the House of Orange-Nassau. 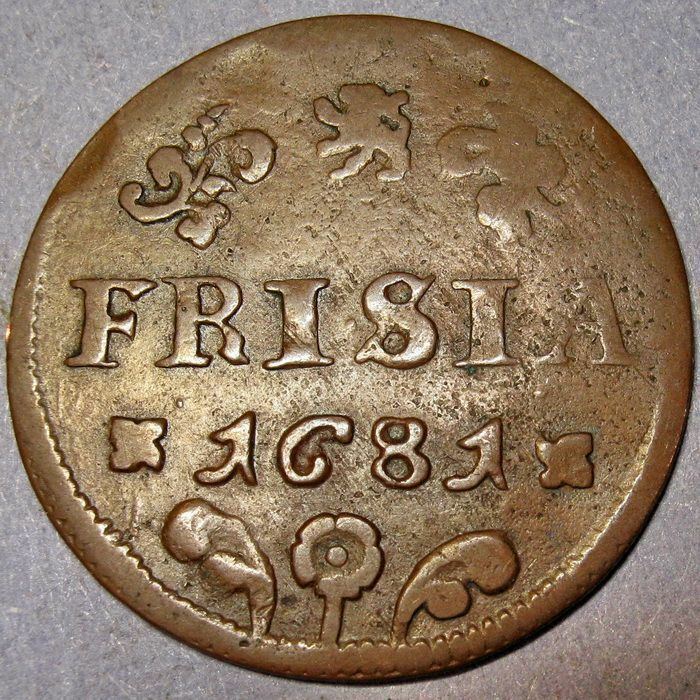 With the Peace of Münster in 1648, Frisia became a full member of the independent Dutch Republic. In 1798, three years after the Batavian Revolution, the Lordship of Frisia was abolished and its territory was divided between the Eems and Oude IJssel departments. This was short-lived, however, as Frisia was revived as a department in 1802. When the Netherlands were annexed by the First French Empire in 1810, the department was renamed Frise. After Napoleon was defeated in 1813 and a new constitution was introduced in 1814, Friesland became a province of the Sovereign Principality of the United Netherlands, then of the unitary Kingdom of the Netherlands a year later. Friesland is situated at 53°8′N 5°49′E in the northwest of the Netherlands, west of the province of Groningen, northwest of Drenthe and Overijssel, north of Flevoland, northeast of the IJsselmeer and North Holland, and south of the North Sea. Friesland is the largest province of the Netherlands if one includes areas of water; in terms of land area only, it is the third largest province. Most of Friesland is on the mainland, but it also includes a number of West Frisian Islands, including Vlieland, Terschelling, Ameland and Schiermonnikoog, which are connected to the mainland by ferry. The province's highest point is at 45 metres (148 ft) above sea level, on the island of Vlieland. 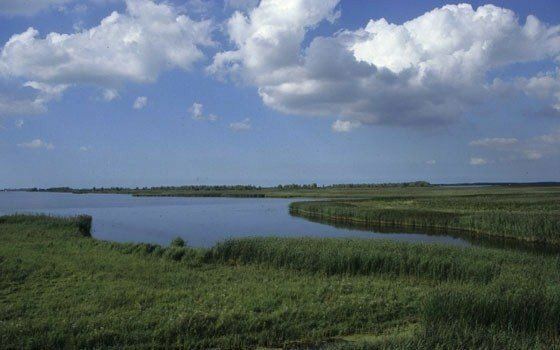 There are four national parks: Schiermonnikoog, De Alde Feanen, Lauwersmeer (in Groningen and Friesland), and Drents-Friese Wold (in Drenthe and Friesland). The province is divided into 24 municipalities, each with local government. The province of Friesland has an oceanic climate (Köppen climate classification: Cfb). In 2010, Friesland had a population of 646,305 and a population density of 190/km2 (490/sq mi). The years 1880–1900 show slower population growth due to a farm crisis during which some 20,000 Frisians emigrated to the United States. Since the late Middle Ages, Friesland has been renowned for the exceptional height of its inhabitants, who were deemed among the tallest groups of Indo-Europeans. Even early Renaissance poet Dante Alighieri refers to the height of Frisians in his Divine Comedy when, in the canticle about Hell, he talks about the magnitude of an infernal demon by stating that "not even three tall Frieslanders, were they set one upon the other, would have matched his height". Friesland is mainly an agricultural province. The black and white Frisian cattle, black and white Stabyhoun and the black Frisian horse originated here. Tourism is another important source of income: the principal tourist destinations include the lakes in the southwest of the province and the islands in the Wadden Sea to the north. There are 195 windmills in the province of Friesland, out of a total of about 1200 in the entire country. Friesland is the only one of the twelve provinces of the Netherlands to have its own language that is recognized as such, West Frisian. For over half of the inhabitants of the province of Friesland, 55% (ca. 354,000 people), West Frisian is the native language. Most of the other inhabitants are native speakers of Dutch. West Frisian is also spoken in a small adjacent part of the province of Groningen, to the east. Closely related languages are spoken in nearby areas of Germany. They are East Frisian (Seeltersk, which is different from East Frisian (Ostfriesisch) and is spoken in the Saterland, and a collection of Low German dialects of East Frisia) and North Frisian, spoken in North Friesland. These languages are also closely related to Modern English. In Stellingwerf, in south-east Friesland, a dialect of Low Saxon is spoken. The language policy in Friesland is preservation. West Frisian is a mandatory subject in Friesland in primary and secondary schools. There are many bilingual and trilingual primary schools in the province of Friesland which use West Frisian as a language of instruction besides Dutch and Modern English, but no secondary schools that include West Frisian as a language of instruction. The number of Frisians speakers who are able to write in Frisian is estimated at only 12%. The provincial government takes various initiatives to preserve the West Frisian language. All parents in Friesland are provided with information about the language and multilingualism at children’s birth (ex. ‘taaltaske’). The province also invests in the development of speech pathology materials and strives to create information technology devices for the West Frisian language. 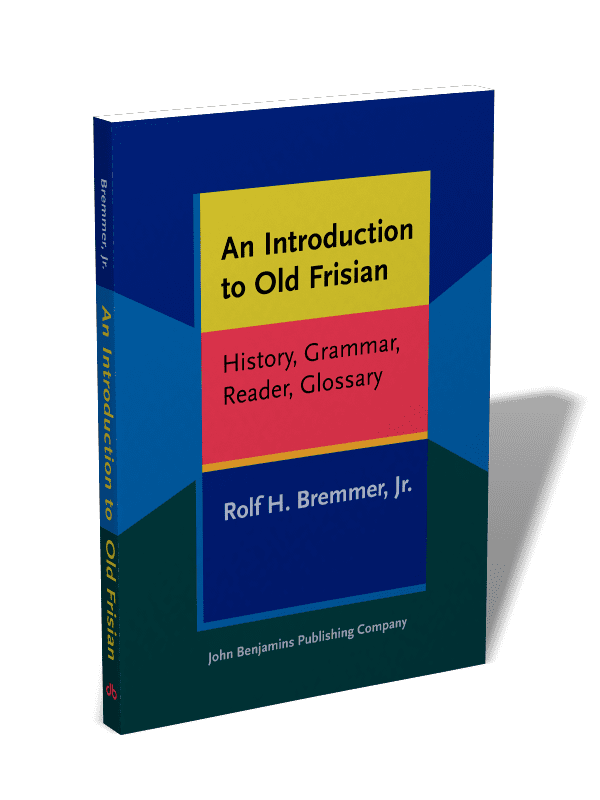 The Frisian government subsidizes the Afûk organization, which offers language courses and actively promotes Frisian in all sectors of society as well as the corporate domain which is currently dominated by Dutch and Modern English. . The province also promotes a wide range of art and entertainment in Frisian. The province is famous for its speed skaters, with mass participation in cross-country ice skating when weather conditions permit. When winters are cold enough to allow the freshwater canals to freeze hard, the province holds its traditional Elfstedentocht (Eleven cities tour), a 200-kilometre (120 mi) ice skating tour. A traditional sport is Frisian handball. Another Frisian practice is fierljeppen, a sport with some similarities to pole vaulting. A jump consists of an intense sprint to the pole (polsstok), jumping and grabbing it, then climbing to the top while trying to control the pole's forward and lateral movements over a body of water and finishing with a graceful landing on a sand bed opposite to the starting point. Because of all the diverse skills required in fierljeppen, fierljeppers are considered to be very complete athletes with superbly developed strength and coordination. In the warmer months, many Frisians practice wadlopen, the traditional art of wading across designated sections of the Wadden Sea at low tide. There are currently two top level football clubs playing in Friesland: SC Cambuur from Leeuwarden (home stadium Cambuur Stadion) and SC Heerenveen (home stadium Abe Lenstra Stadion). The King's Commissioner of Friesland is Arno Brok. The States of Friesland have 43 seats. The Provincial Executive is a coalition of the Christian Democratic Appeal, the People's Party for Freedom and Democracy, the Socialist Party and the Frisian National Party (FNP). The four motorways in the province are A6, A7 (E22), A31, and A32. The main railway station of Friesland is Leeuwarden, which connects the railways Arnhem–Leeuwarden, Harlingen–Nieuweschans, and Leeuwarden–Stavoren which are all (partially) located in the province. Ameland Airport near Ballum and Drachten Airfield near Drachten are the two general aviation airports in the province. The Royal Netherlands Air Force uses Vlieland Heliport and the Leeuwarden Air Base. Friesch Dagblad and Leeuwarder Courant are daily newspapers mainly written in Dutch. Omrop Fryslân is the public broadcaster with radio and TV programs mainly in Frisian.